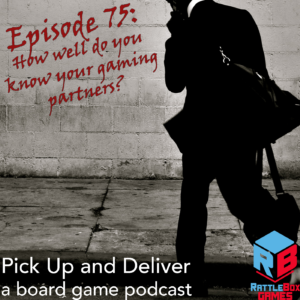 Pick Up and Deliver podcast 075: How well do you know your gaming partners? Brendan ponders the question of finding the games your gaming partners love the most. How do you predict what other people like to play? When have you found the perfect game for your partner to play? When have your predictions gone astray? Let us know over in BoardGameGeek guild #3269.